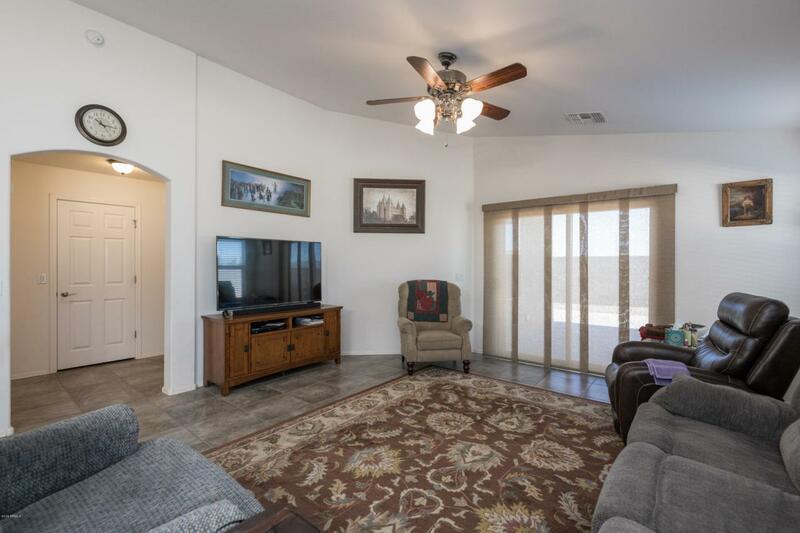 Open and bright floor plan, vaulted ceilings and tile throughout. 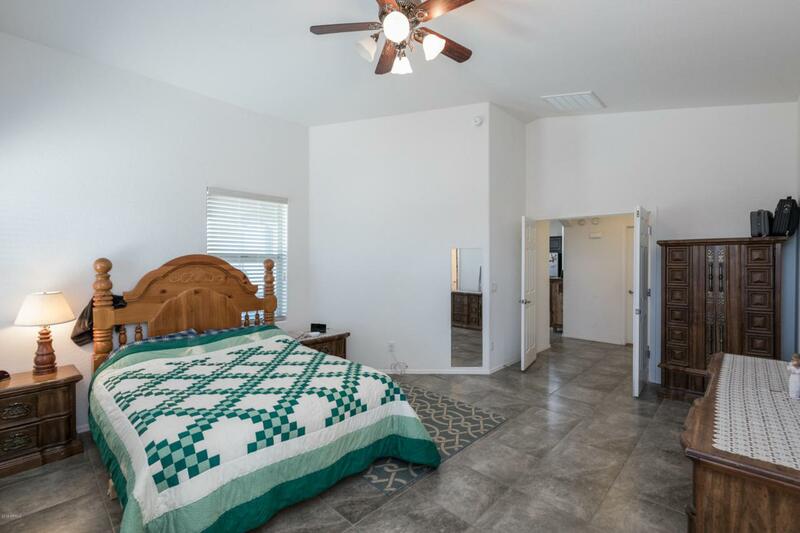 3 bedrooms, Den/flex room, and 3 full baths! 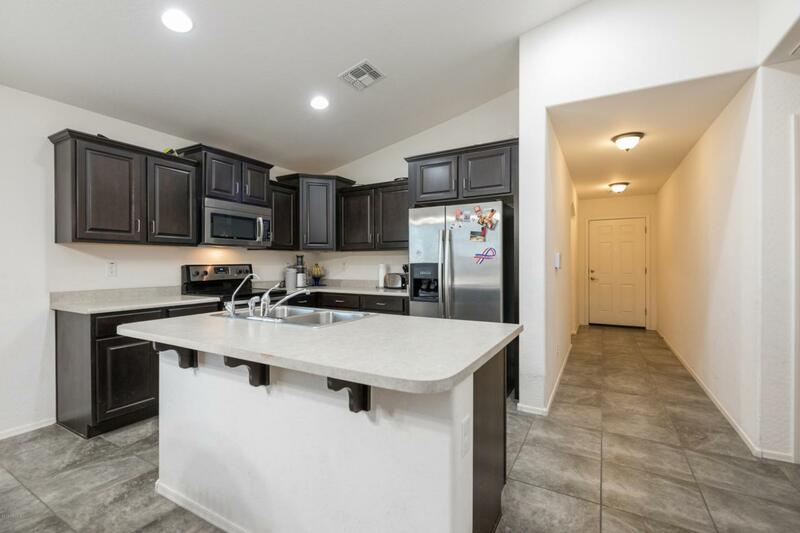 Upgraded staggered cabinetry, island and stainless steel appliances. 2nd bedroom has bath ensuite. 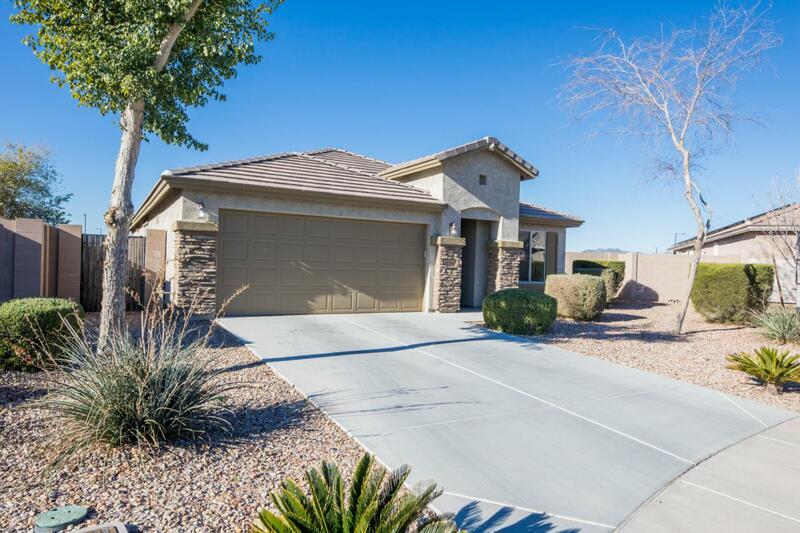 The backyard is huge with extended patio and plenty of room to add pool and an RV gate. Blue Horizons has several parks, walking trails, including basketball courts, and soccer field.